How many Weimaraner colors exist when it comes to the gorgeous coat of the Weimaraner dog? Is this breed simply grey, or does he come in a wide range of colors, patterns, and shades? The beautiful shades of Weimaraner colors are almost as famous as the Weimaraner breed himself. Known for his friendly nature and loving disposition, the Weimaraner is a relatively new German breed. He came about during the 19th century. His main purpose was to work as a hunting dog. Weimaraners eventually found their way to America in the 1920s, where they quickly found fame amongst presidents, artists, and even movie stars! The standard Weimaraner colors are grey or silver. This is why the breed is often referred to as the ‘Grey Ghost’! These grey shades may be completely solid or may have a spot of white on the Weimaraner’s chest. He can have a sleek, shiny coat or a longer coat, and he has long ears. Do Weimaraner Colors Mean Something? 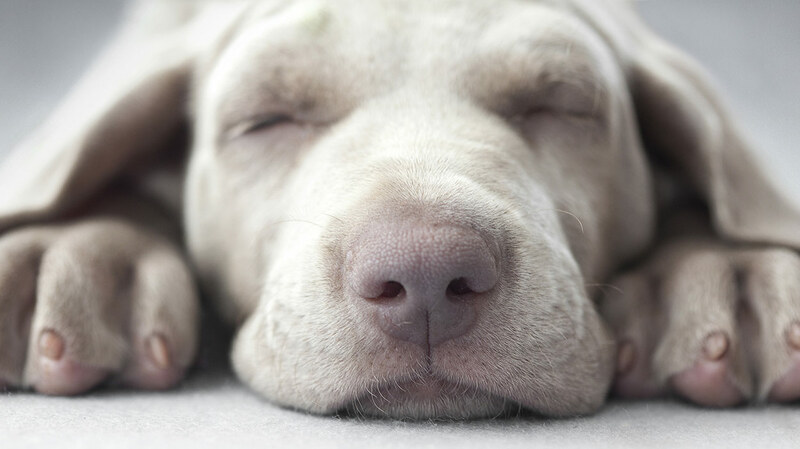 Are you wondering if different Weimaraner colors mean different personality traits? Or are you worried that a blue Weimaraner may be more susceptible to certain health issues than a silver Weimaraner? What if you have a red or brown Weimaraner? Will he have any other physical characteristics that are different from that of a grey or silver Weimaraner? The silver Weimaraner is perhaps the most popular and common when it comes to Weimaraner colors. With a stunning, silver coat that seems to shine like steel, the silver Weimaraner looks like velvet and turns the heads of everyone who sees him. Are you wondering what the difference is between a grey Weimaraner and a silver Weimaraner? The Grey Weimaraner has more of a dull, brownish tint to his fur that does not necessarily have the sheen of the silver Weimaraner. 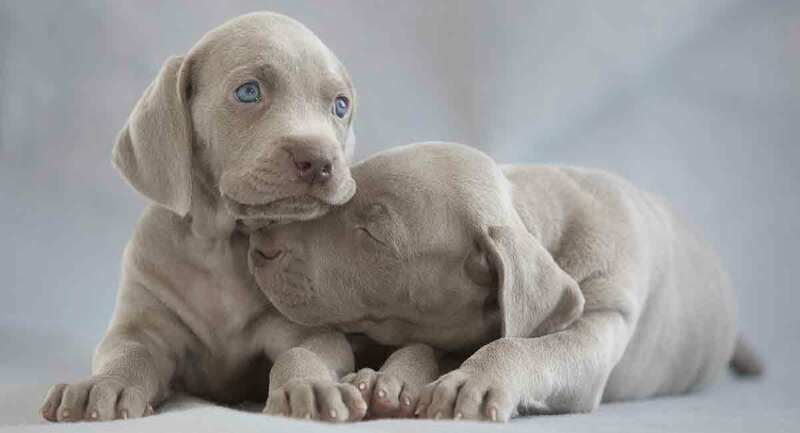 The silver grey Weimaraner colors are exactly what they sound like – silver grey. A Weimaraner dog with a silver-grey coat is going to be somewhere in between the true silver and true grey. He can also have a lighter coat of silver and grey or a darker coat of silver and grey. Blue Weimaraner puppies are becoming more and more popular, but this may not be for a good reason and it is important to understand why. There are countless wonderful and reputable breeders out there, but there are also many who are breeding merely for the reason of profit. Beware of Weimaraner breeders who promote a number of different Weimaraner colors for a higher price than average. And justify their inflated prices by claiming these dogs are rare colored Weimaraners. Remember, the standard Weimaraner colors are silver grey, silver, and mouse grey. So, to simplify, the standard color is different shades of grey. So then, what is a Blue Weimaraner? Blue Weimaraners are simply Weimaraners with a very dark grey coat. This is outside of the breed standard and is actually considered by experts to be unfavorable. You may not care about show but appreciate the importance of responsible breeding. If so, there is a group of blue Weimaraner enthusiasts who are attempting to establish the Blue Weimaraner as its own legitimate breed in the United States. Is There Such A Thing as A Brown or A Red Weimaraner Dog? Brown Weimaraner dogs and red Weimaraner dogs are not actually true, purebred Weimaraners. Although these Weimaraner colors may be appealing to some, it is important to remember that if you want a purebred Weimaraner, you should stick with the grey. Of course, sometimes the mouse grey Weimaraner can have a brownish tint to his coat, and this is normal. Still, this is considered a grey Weimaraner. A Weimaraner with a brown or red coat is most likely crossed with another breed, most often the German Shorthaired Pointer. 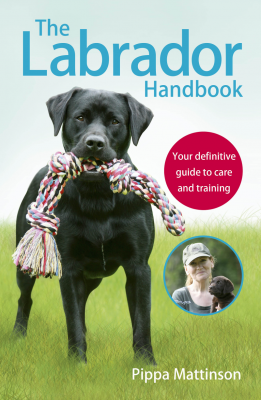 When considering a crossbreed, you should remember that a number of traits in the dog can and will be left up to chance. 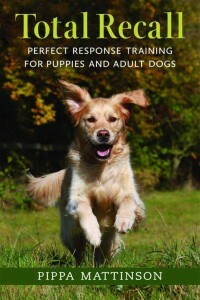 This means health, temperament, and physical characteristics will be much less likely to predict. Which Color Weimaraner Should I Choose? If you have your heart set on a Weimaraner and are just debating on Weimaraner colors, we would like to help. The choice may seem like a simple one, however, there are several important factors to consider. As mentioned above, you should keep in mind that the only true Weimaraner colors, by breed standard, is grey. This includes shades of grey such as mouse grey, silver grey, and silver. The Blue Weimaraner has a much darker grey coat and is therefore not considered by experts to be up to breed standard. So, if you are planning on showing your Weimaraner, you should steer clear of the blue Weimaraner and stick with the grey or silver. 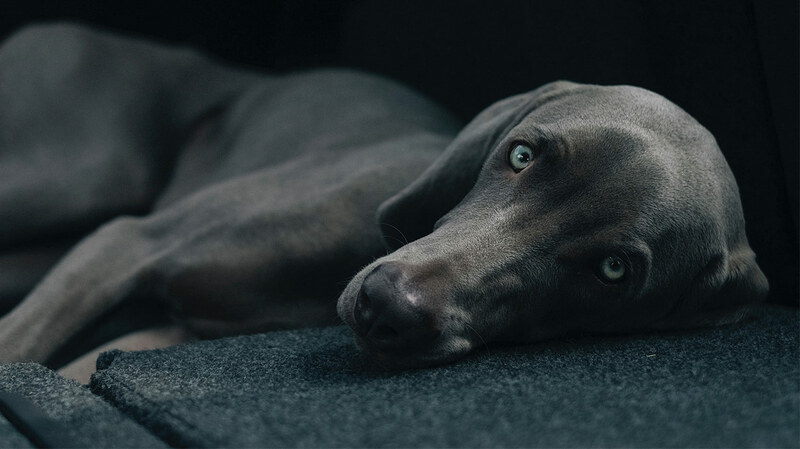 The blue Weimaraner’s darker coat does not mean he will suffer from any unusual health or physical defects as far as we know. Brown or red Weimaraner colors? The brown or red Weimaraner, on the other hand, is most likely going to be a mixed breed. This means that health, temperament, and other genetic factors can be left up to chance. So, if you want the purebred Weimaraner, then a brown or red Weimaraner is not the dog for you. 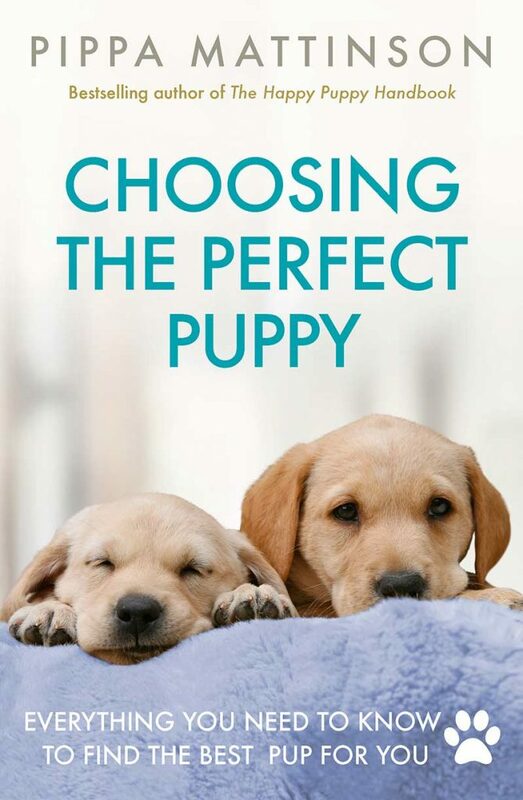 When picking out the perfect puppy, we always suggest staying away from puppy mills, pet stores, and backyard breeders. Make sure you do lots of research to better ensure your breeder of choice is reputable and understands the importance of responsible breeding practices. On average, most Weimaraner breeders charge a pretty penny, so be prepared to spend anywhere from $700 to over $5,000. Of course, the price will be higher depending on the Weimaraner’s parent breeds and if they are show quality. If you would prefer to rescue your Weimaraner, we suggest researching local rescues in your area or rescues specific to the Weimaraner breed. Did you enjoy learning about Weimaraner colors? Are there any fun facts about Weimaraner dogs or their coat colors that we missed? Schmutz et al. TYRP1, and MC1R Genotypes and Their Effects on Coat Color in Dogs, Mammalian Genome. Gerding et al. Tracing the Origin of the ‘Blue Weimaraner Dogs by Molecular Genetics, Journal of Animal Breeding and Genetics. Acumen, 2011. 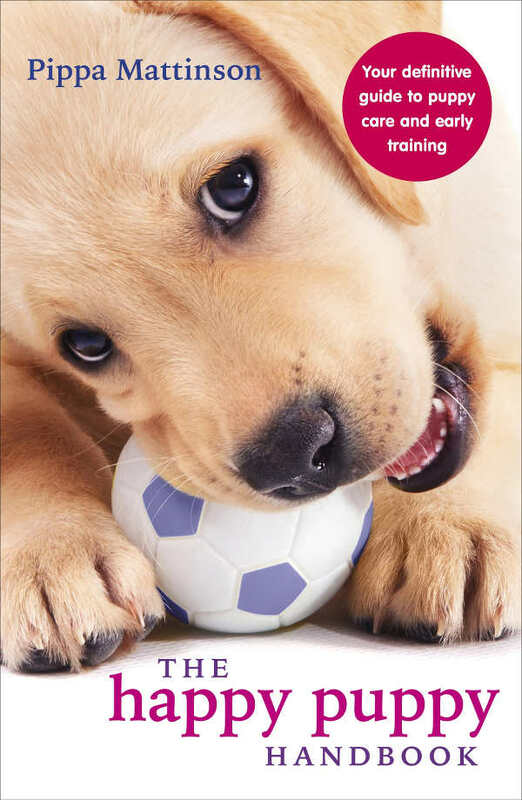 The Genetic Connection; a Guide to Health Problems in Purebred Dogs, Second Edition. Schmutz and Berryere. Genes Affecting Coat Colour and Pattern in Domestic Dogs: A Review, Animal Genetics.